Award-winning producer, Naughty Boy is better known for his work with Beyonce, Sam Smith and Ed Sheeran but his latest project is equally interesting - he has created a 2hr 31-minute track that is made up of coach sounds. The track, entitled 'via M40', has been created to announce that Trainline, an app that allows you to book train journeys, now does coach travel and it uses various sounds from in and around a coach on the app's most popular route - London Victoria to Birmingham. From seat belts clicking and passenger chatter, to toilets flushing and the horn beeping, the otherwise-familiar coach noises have been slickly mixed to create the ultimate tune to keep passengers entertained for the full 151-minute journey. Trainline has also released a behind the scenes video that documents the process from start to finish. 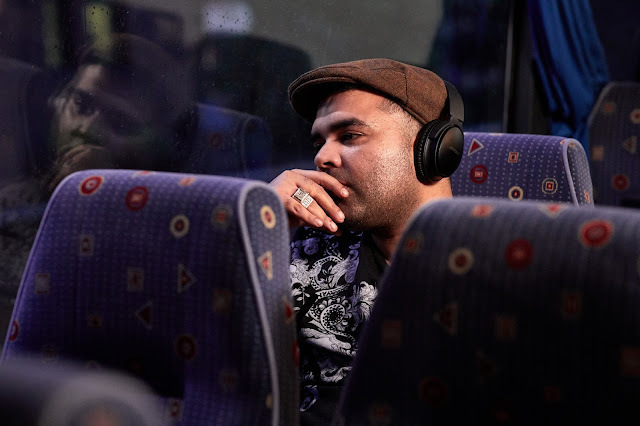 The video shows Naughty Boy tirelessly working on the track – stopping at nothing in the pursuit of compiling the perfect set of sounds, before expertly mixing them in his Ealing studio.